The measure is the Defense Credit Union Council’s top legislative priority for 2019. 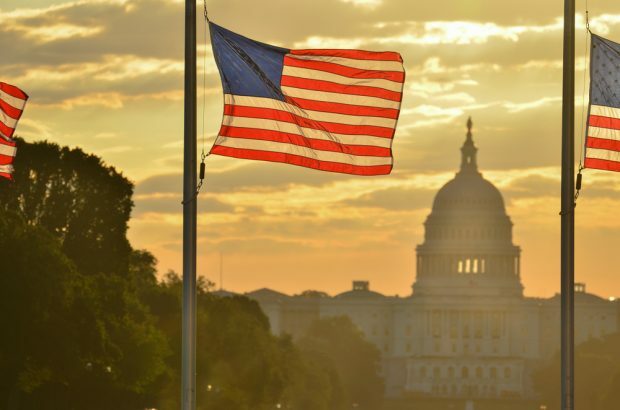 United States Capitol dome silhouette and the national flags of U.S. rounding Washington Monument – Washington D.C. (Image: Shutterstock). A bipartisan group of House members, led by Rep. Vicente Gonzalez (D-Texas), has introduced legislation that would exclude loans to veterans from the credit union Member Business Loan cap.